Rapunzel & her prince wouldn’t have stood a chance today , if you look at some of the stuff in our shampoo bottles. Here’s what the label on a top notch ‘Lively Clean’ Shampoo Bottle reads – Water, Sodium Lauryl Sulphate,Sodium Laureth Sulphate, Sodium Chloride, Cocomidopropyl Betaine, Sodium Citrate, Sodium Xylenesulphonate, Fragrance, Citric Acid, Hydroxypropyl Methylcellulose, Sodium Benzoate, Tetrasodium EDTA, Butylphenyl Methylpropional, Linalool, Hexyl Cinnamal, Benzyl Benzoate, Panthenol, Panthenyl Ethyl Ether, Benzyl Salicylate,Methylchloroisothiazolinone,Methylisothiazolinone. 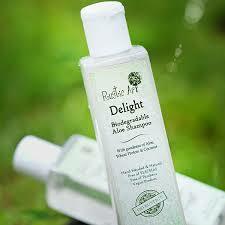 It promises you super clean, gorgeous smelling & lustrous hair. But, of course. Most commercial shampoos are a mix of Detergents , Surfactants ,Fragrance , Preservatives , Silicones , Alcohol and more. Major uh, uh moment. This is what the game changing book ‘No More Dirty Looks’ discloses – SLS (sodium laureth sulphate) & SLES (sodium lauryl sulphate) , the most common surfactants in shampoos can cause rashes and unsightly bumps on the scalp. Further, when SLES is softened chemically to reduce its harshness, it produces a carcinogenic by-product 1,4 -dioxane, which is not listed on labels as it is not an ‘intended ingredient’ !In fact they are so effective & cheap that they are found in a number of industrial cleaning agents such as engine degreaser and industrial strength detergents. And if that didn’t sound crazy enough , SLES is also widely used as a skin irritant when testing products used to heal skin irritations! Like sulphates, other potentially dangerous ingredients in shampoos are the preservatives, the fragrance and additives.Popular ones include foam boosters like lauramide DEA or cocamide DEA and MEA, preservatives such as DMDM hydantoin & methylparaben – all this stuff can create havoc with the hormone balance, thyroid & estrogen levels and might also interfere with neurological functions. And oh , one another small piece of info – our scalp is the most absorbent part of the skin on our body & sponges up much of what goes on it. It is also the most sensitive , so a little extra thought on what goes up there might be a better bet! So, what does one look out when buying hair cleansers ? Labels with ‘Sulphate Free’ , ‘Paraben Free’ , ‘SLS/SLES Free’ might be a good place to start. 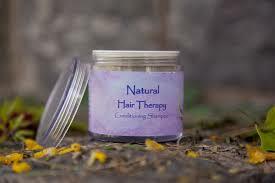 The safest route however is to switch to chemical free Natural Hair Cleansers, full of nature’s goodness & which do the job without the toxicity. Here are some great options in Liquid, Bar & Powder form. Most information is validated directly from the seller or from the brand’s websites. I also came across some brands that claimed to be ‘natural’ because of some ‘natural extracts’, but were a little heavy on other chemicals, so they have been left out. 1. Liquid Shampoos It is extremely difficult to produce gel based shampoos without any preservative. However, established natural cosmetic brands can offer you great options with very mild preservatives as compared to those found in the big-brand bottles. You can buy these brands at http://ecotokri.com/bath-n-beauty/hair-care/shampoos & http://www.naturalmantra.com/home-personal-care64-natural-hair-care-natural-shampoo. 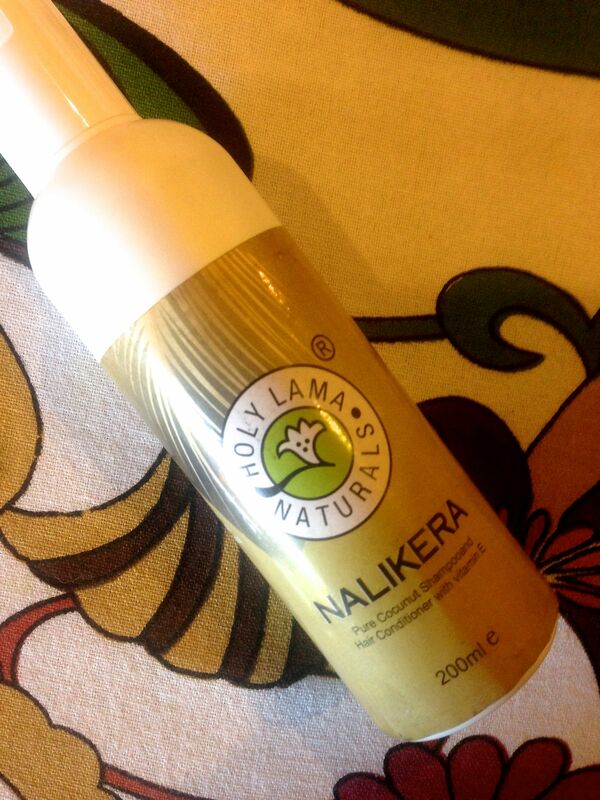 Holy Lama Naturals An All woman enterprise, producing the ‘Nalikera’ Shampoo, which is best for dry hair. It helps to remove dandruff and gives hair a shiny gloss. Contains pure extracts of Vetivert Oil, Cypreol Oil, Galangal Oil, Tea tree Oil. Also enriched with Vitamin E. Contains pure essential oils of Patchouli, Petitgrain, Orange and Lavender. 2. 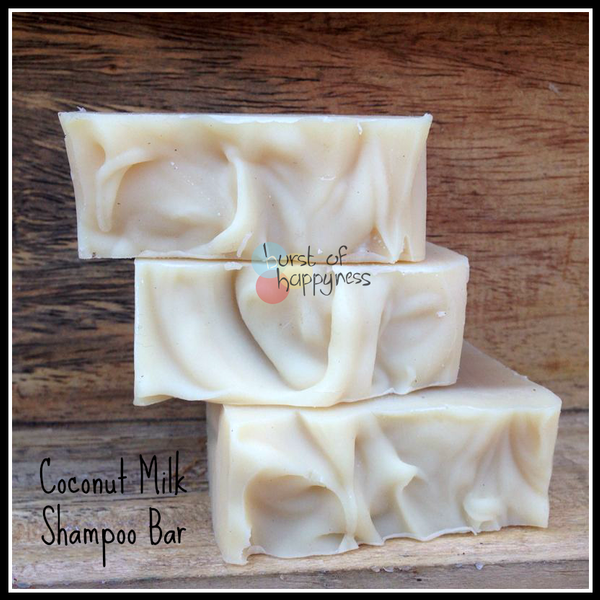 Hair Cleanser Bars There are some wonderful all natural shampoo bars that you can buy online. They also make for great gifts, with their cute packaging! 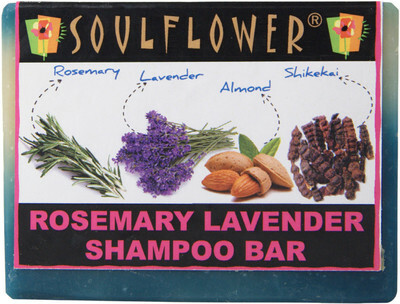 Soulflower Shampoo bars with essential oils and no chemicals. These have some great online reviews! 3. Hair Cleanser Powders Since they are in the powder form, they do not need any preservatives. 100% Natural, Chemical & Preservative Free hair cleansers! 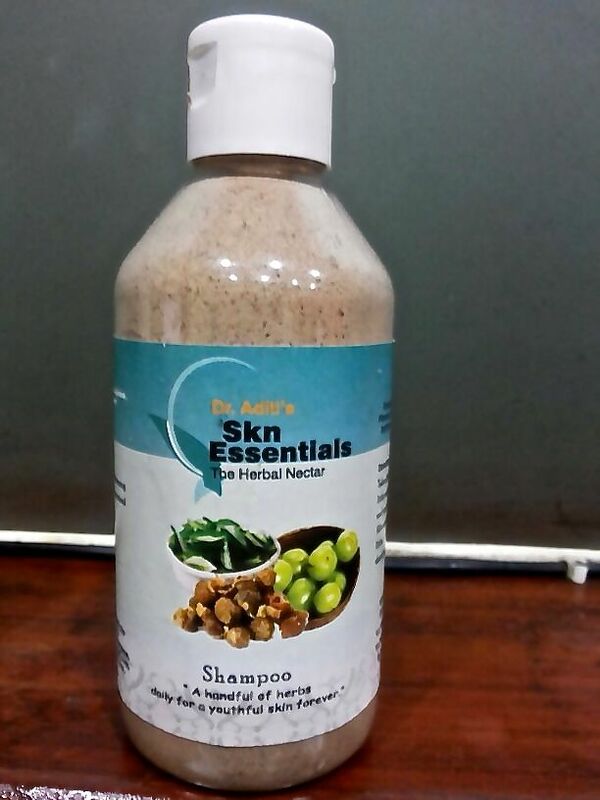 Dr.Aditi’s SknEssentials Herbal Hair Care Reetha, Shikakai,Amla, Methi , Neem,Brahmi,Hibiscus , Rosemary are some of the healing herbs that go into making her signature hair strengthening shampoo powders. For a personalized consultation & recommendation of the correct blend for your hair type, reach out to Dr.Aditi Bhatnagar at 9650010148. 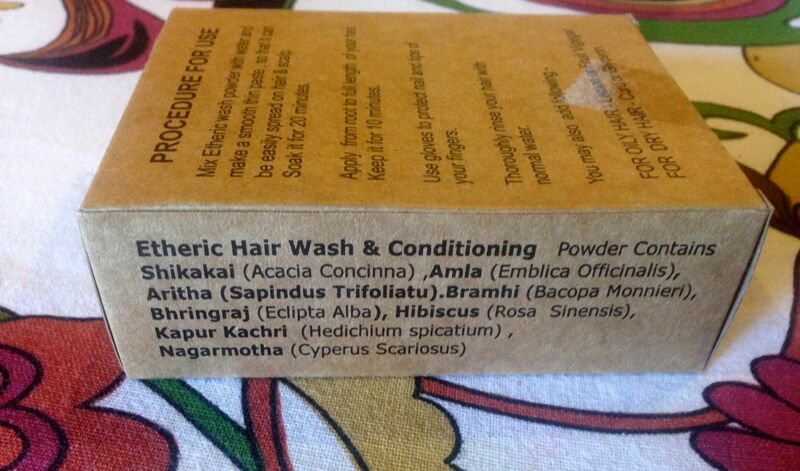 Etheric Hair Wash & Conditioning A formulation of Indian traditional herbs, the powder is a mix of many hair loving herbs.It is manufactured by ‘Devodhyog’, a platform providing employment to persons with special needs. A little do-good there! Nirvaaha Hair Therapy A conditioning shampoo especially good for dull, dry and damaged hair. Made from nutrient-rich black soil and aloe vera, this shampoo & pack is 100% natural that gives your hair a natural bounce. 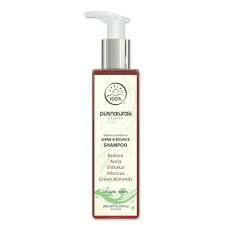 This shampoo can be used for babies as well since it has no preservatives, chemicals or artificial perfumes. Have you used a natural hair cleanser? Do share your experience!